I have never been a fan of H.P. 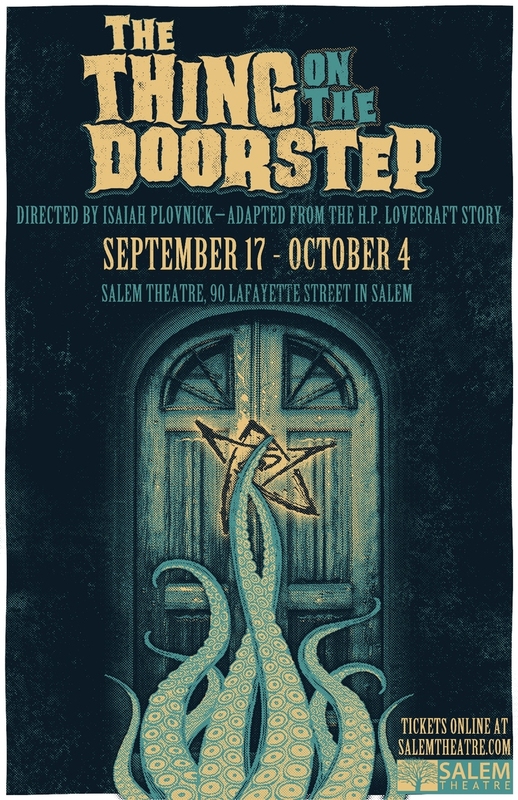 Lovecraft but having spent most of my professional life in the company of 20-year-olds here in Salem I’ve definitely been exposed to the man and his works, especially as they (supposedly) relate to our gothic city. Many of my students believe that the Lovecraftian city of Arkham was modeled on Salem, and its Miskatonic University, our university. They might be right about the former, as the fictional Arkham does indeed have a lot of Salem features, but Lovecraft’s Miskatonic U. is a lot more ivy-covered than our concrete Salem State: most experts assert that is modeled after Bradford College, a now-defunct college up in Haverhill, or perhaps even Brown University, located in Lovecraft’s hometown of Providence, Rhode Island. We have a great nursing program but no medical school (to service our sanitarium) or Department of Medieval Metaphysics. Apart from the University, The Arkham/Salem connection seems so well-established that I’ve always been curious that Lovecraft has not been assimilated more comprehensively into the relentless Witch City campaign, but that seems to be changing now: I’ve seen Lovecraft walking tours and an exhibit over the past year, and for the next few weeks the Salem Theatre Company is staging an adaptation of The Thing on the Doorstep, the Lovecraft story most closely associated with Salem through its references to the old Derby house and the old Crowninshield place. 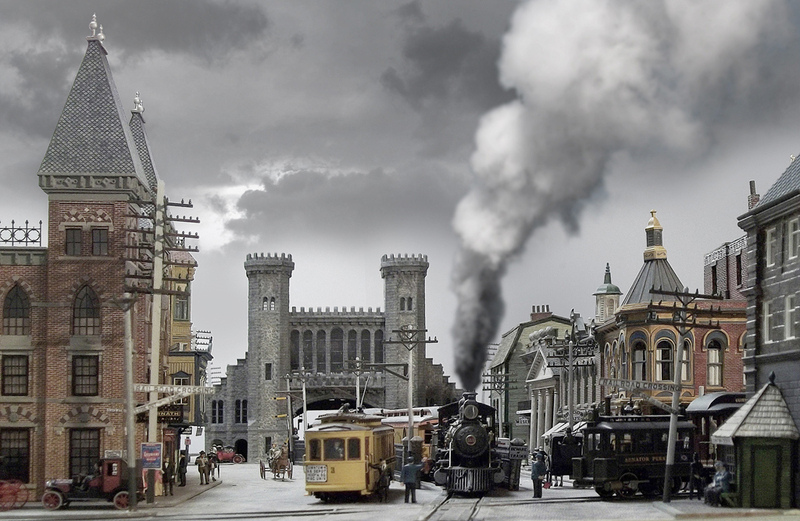 One of my former students directed me to a site that really drives home the Salem/Arkham connection: The Miskatonic Railroad, 1882–1907. 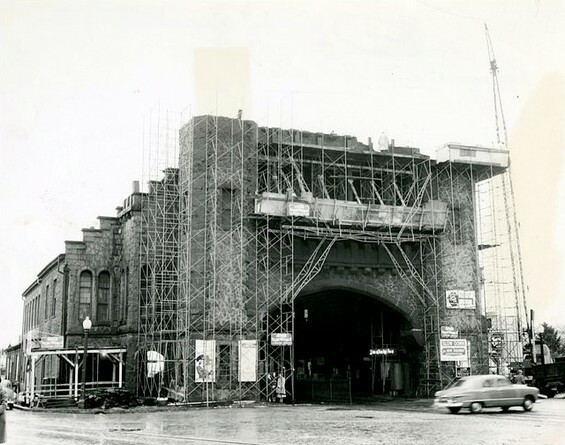 The centerpiece and absolute focus of this Arkham is Salem’s fortress-like train station, which was demolished in 1954. 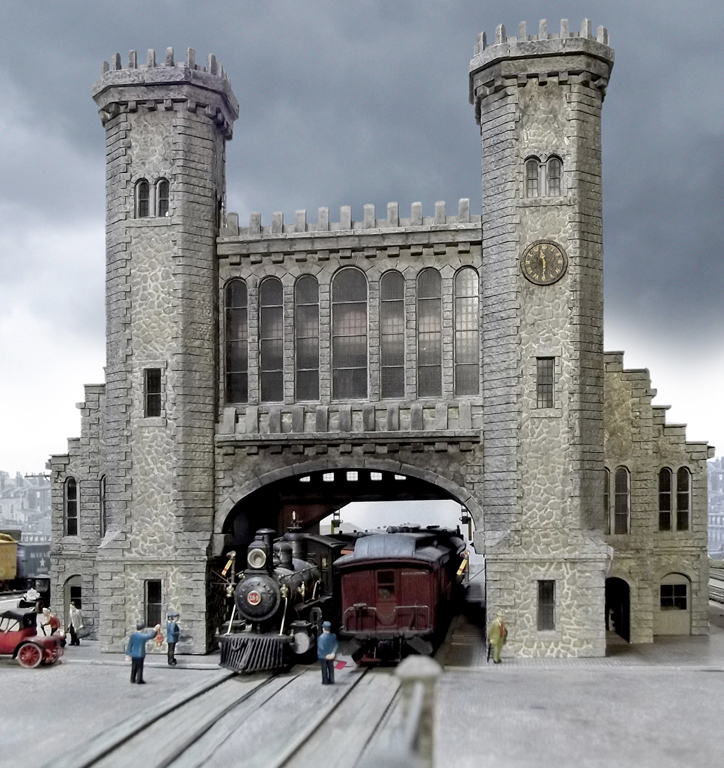 I don’t believe that Lovecraft ever mentioned the Salem Depot in his works, but it certainly appears Lovecraftian, both in photographs and as recreated for the model Miskatonic Railroad. 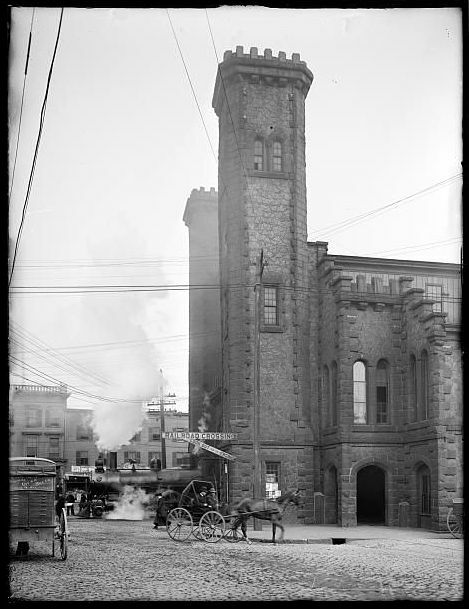 Its creator, John Ott, doesn’t care much for the rest of Salem, but he is duly impressed by our long-gone station: “Salem today rates about a seven on the dreary scale—not much to see, despite its touristy cant. But up until about sixty years ago, Salem boasted the most spine-tingling eerie Gothic-Norman stone train station in North America”. Apparently he doesn’t share Lovecraft’s affection for Federal architecture! 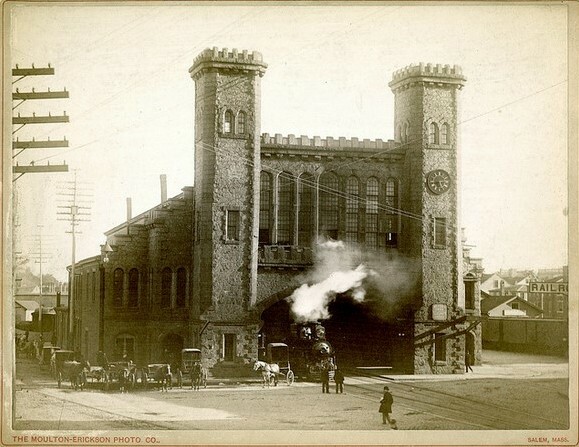 Photographs of the old Salem Train Depot from c. 1905, 1910 & 1954 (the razing!!! 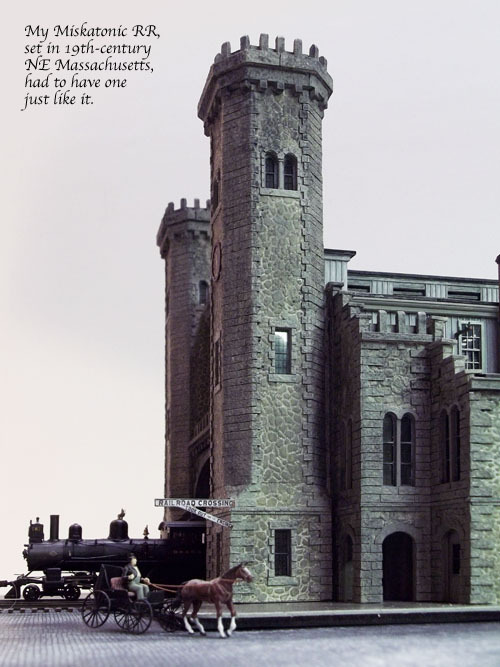 ), from the Dionne Collection at Salem State University Archives and Special Collections and the Library of Congress interspersed with John Ott’s model Miskatonic Railroad Station. Many more images (and stories) of the latter here.